1. Some people model their medals on their dog. 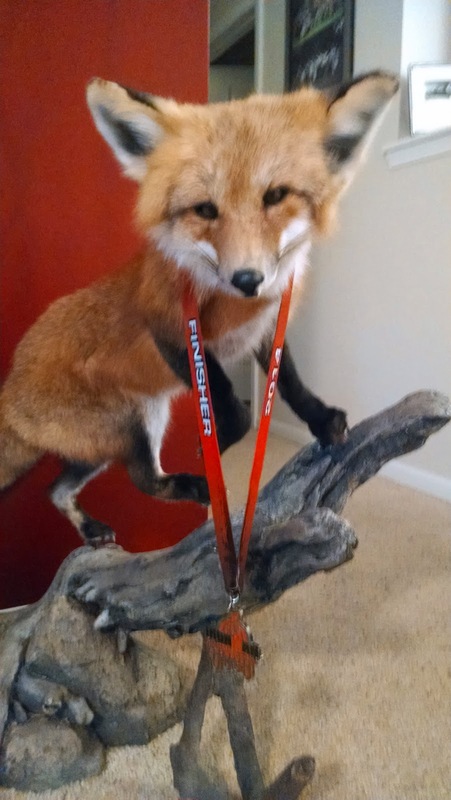 I have a fox to be my medal model. Matt has weird hobbies, I know. This lived in our living room for about 2 months but now I've moved him to the "trophy room" a.k.a. the second bedroom full of all our crap. His name is Billy. 2. After suffering the worst allergy season of my life from about March to September this year, I finally got to see an allergist. Since I have HMO health insurance, I had to get a referral from my primary care physician before I could go (or pay for it out of pocket). That took 3 visits before I was able to convince her I was NOT OKAY. The good news is that my allergist is awesome. I got tested again. I'm allergic to cats, some grass pollen, some tree pollen, ragweed pollen, and dust. Which explains why my allergies last from March to November. The allergist prescribed me some new drugs to try out which seem to be helping more. But the best news is that I feel like she actually listens to me. I was starting to feel defeated with the whole allergy thing. I was so congested all the time that my brain felt hazy and it was hard to concentrate at work. After going to my regular doctor a few times and not being able to get over the congestion I thought that maybe that was as good as I was going to feel. When I told the allergist about the congestion and hazy brain she was concerned that I could have a sinus infection as well so she came up with a plan of attack if I did not start feeling better with the change in medications. Thankfully I am feeling better now. 3. I'm am now part of the Clever Training Ambassador program! Clever Training has a ton of fitness gear including clothing, GPS watches, foam rollers, and so much more from a bunch of the top brands. 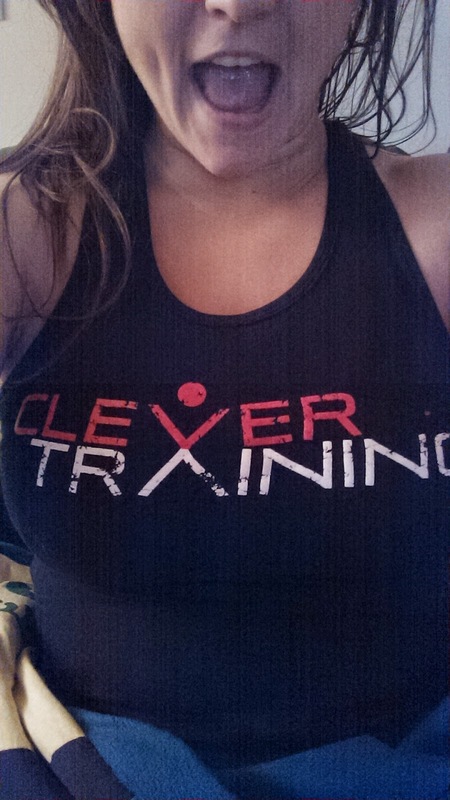 To welcome me to the program, Clever Training sent me a bunch of great stuff including this tank top. Plus I received CEP compression socks, water bottle with a filter, and a towel! Thanks Clever Training. That code will save you 10% on your purchase!